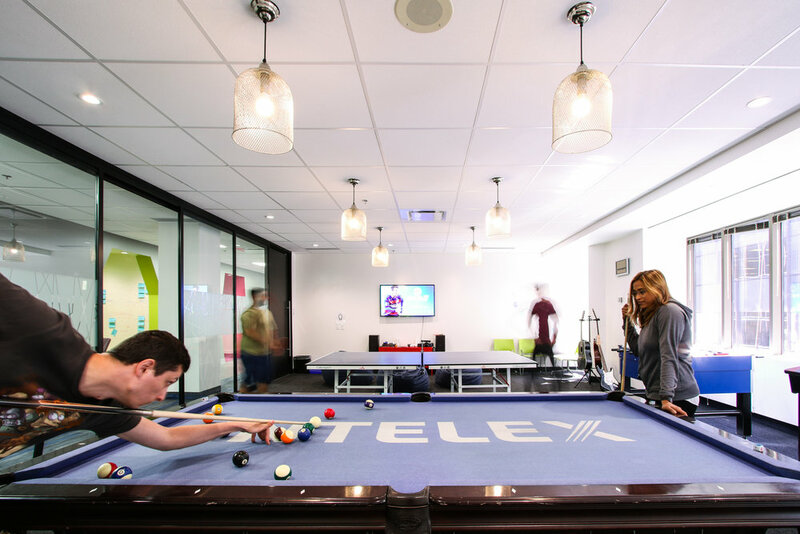 INTELEX LIVES AND BREATHES COLLABORATION. NATURALLY, THEY WANTED A HOME THAT REMOVES BOUNDARIES BETWEEN WORK & FUN. WE WERE MORE THAN HAPPY TO PLAY ALONG. 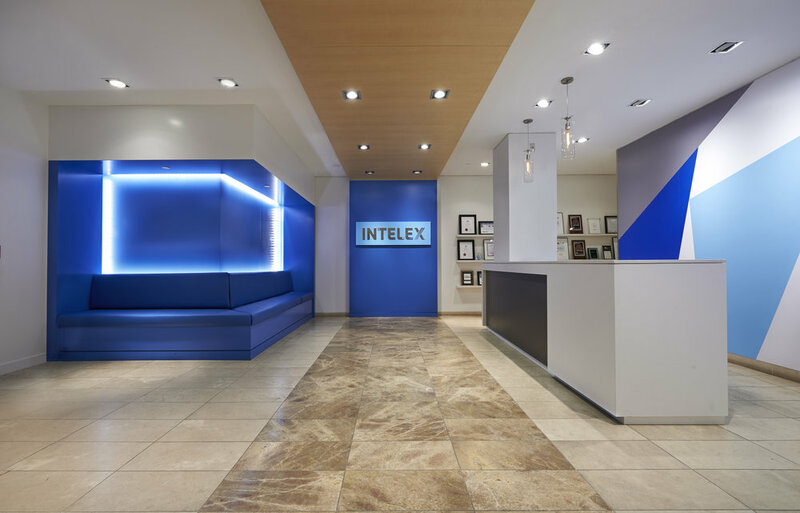 Intelex Technologies is a fast growing B2B tech company that develops software for Environmental, Health & Safety, Quality and Supply Management Systems. 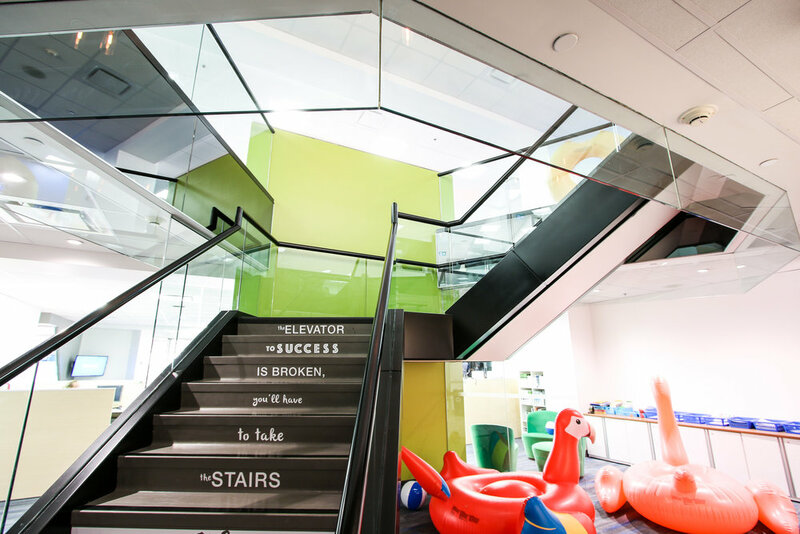 They relocated into 70,000 sf of space in downtown Toronto, some of which we repurposed from the existing build-out. The company’s success in developing its products is built on a culture of intensive collaboration. 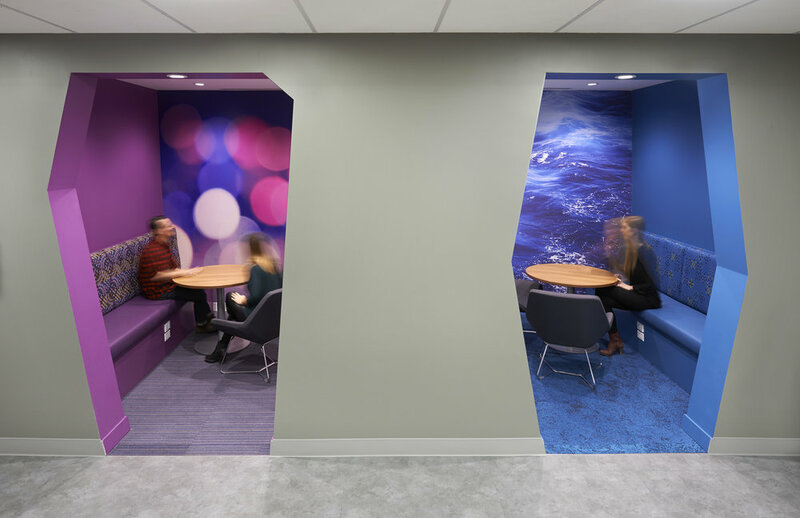 As such, the design of the space facilitates and encourages this at every turn. Staff work in open team configurations for ease of interaction and exposure to supporting technology. 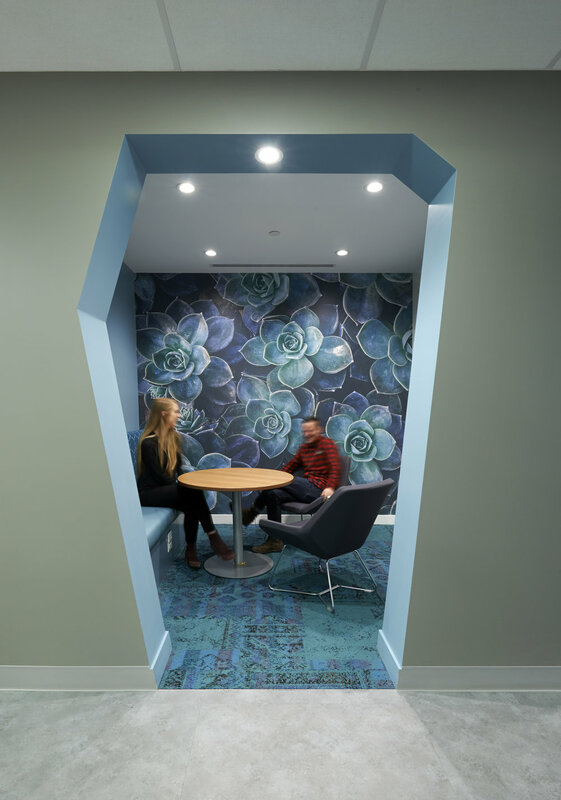 Throughout general office areas SDI interspersed readily accessible open collaborative spaces (marked by floating canopies) as well as small breakout areas that are enclosed but open fronted. 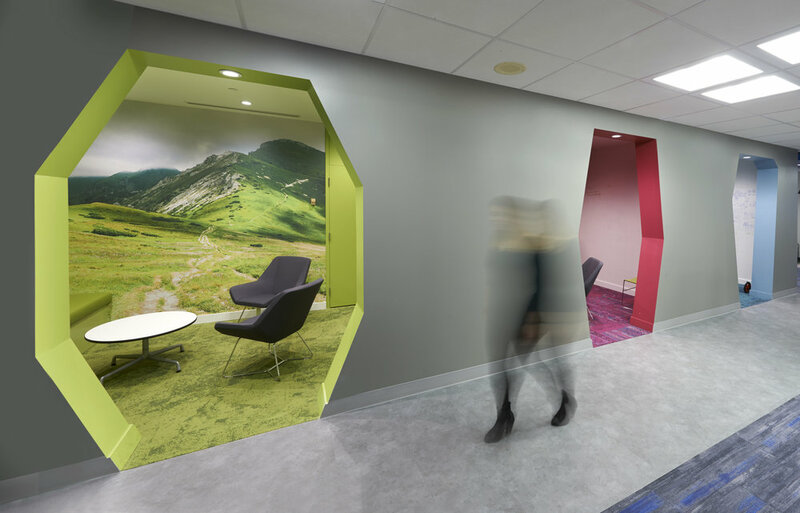 Each breakout space is marked by its unique colour scheme, accented by a large graphic image. 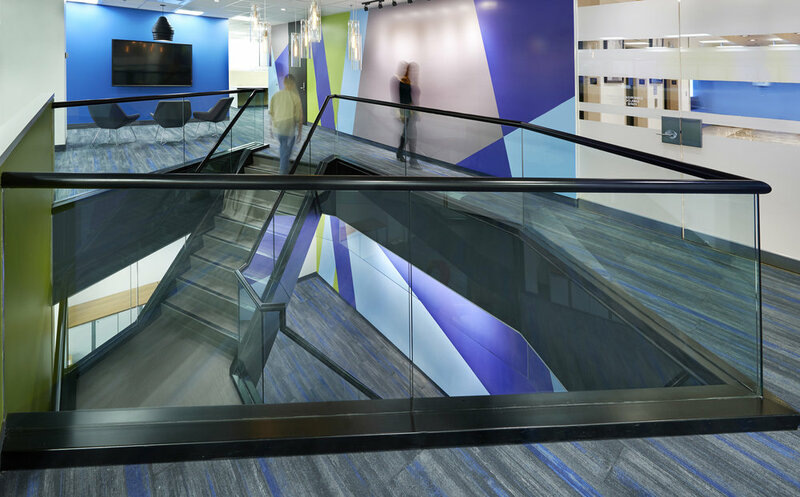 In addition, several areas of each floor have larger conference spaces that have open access but are semi-enclosed to minimize disruption to nearby areas. A key ingredient in the collaboration recipe is team building, and the design supports this in several ways. 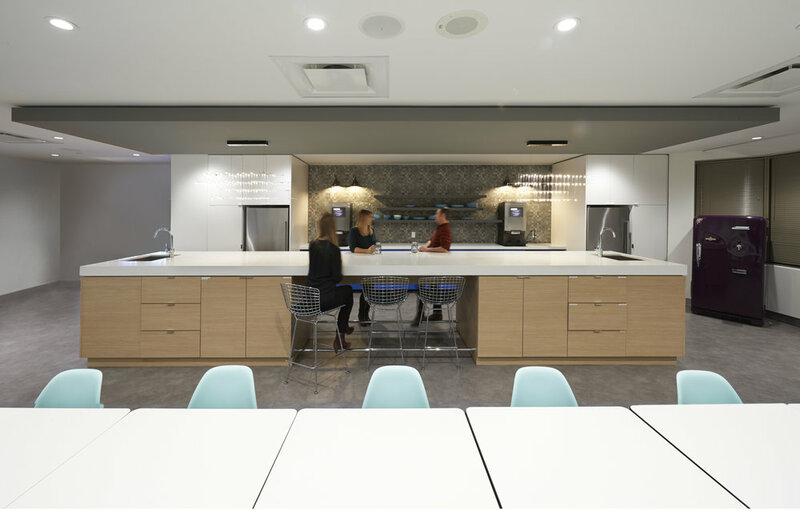 Gathering spaces accommodate the company’s generous food and play provisions. In addition to a gaming room there is a large multi-purpose kitchen and lunchroom area which gives onto a spacious outdoor terrace. 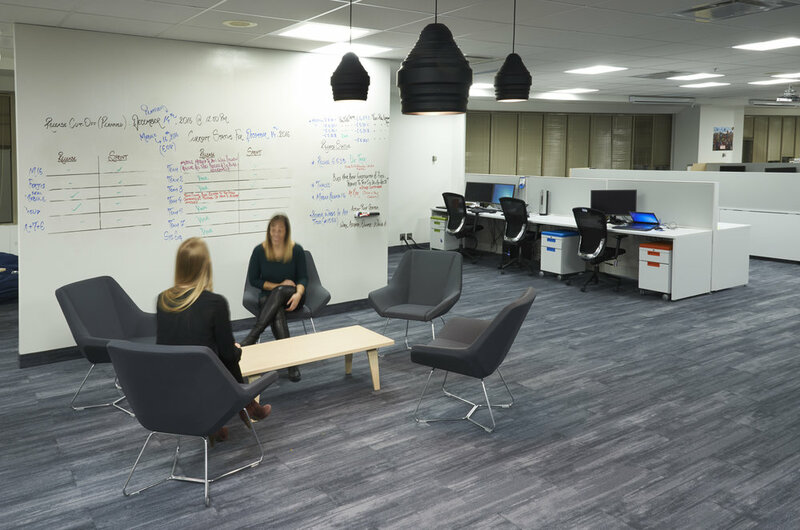 Staff integration is enhanced by Intelex’s practice of company-wide cross-training, so the lunchroom also converts into a large auditorium-style learning space.